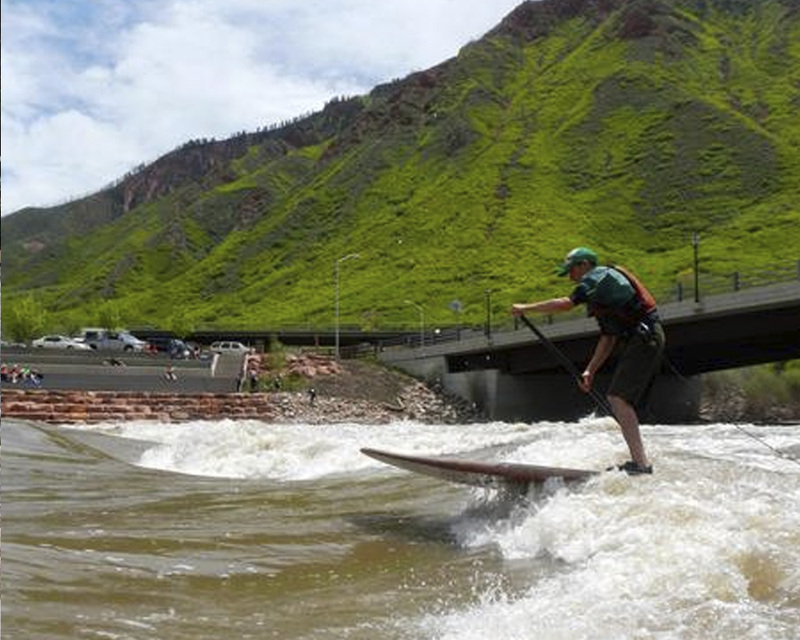 The Glenwood Springs community had worked tirelessly towards a Whitewater Park since 2001. RiverRestoration was retained by the City in 2006 and brought the holistic solution that was required for success. The balanced approach used by RiverRestoration built a positive coalition of stakeholders and resource managers and has proved to be the successful approach. A very stable wave has formed which is wildly popular for paddling enthusiasts at high and low flows throughout the year. The Glenwood Springs community now enjoys an extremely popular whitewater park attraction that draws visitors from around the world. 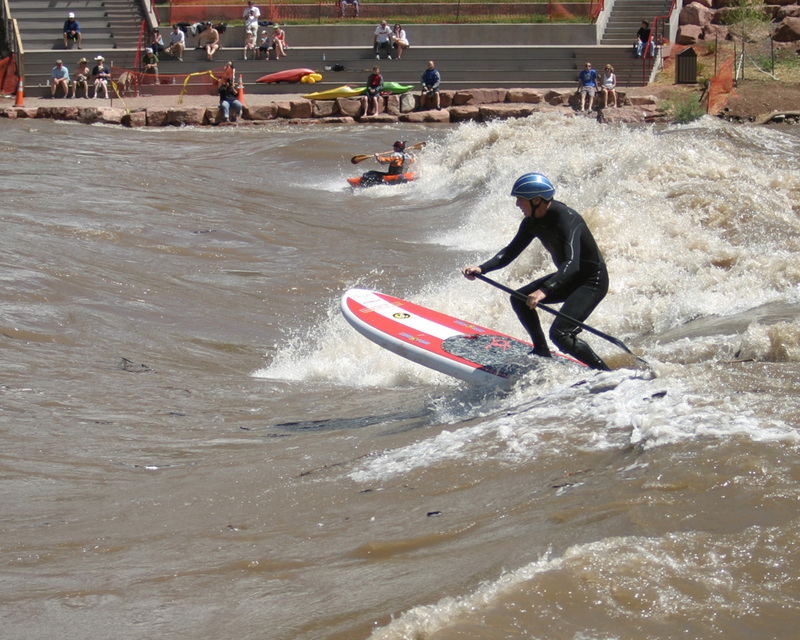 With the park’s growing international reputation, Glenwood Springs hosted the USA Free-Style Kayaking team trials in May 2009. The Glenwood Springs Whitewater Park has sustained flows over 25,000 cubic feet per second (700 cms). A river this size posed major design challenges in stability as well as constructability. The diversion plan and care of water were integral to the final design. RiverRestoration began with river survey and development of a feasibility plan that included cost opinions, project phase planning, and permitting with alternatives analysis. RiverRestoration uncovered funding opportunities and submitted grant applications on behalf of the City to support the project. The required Federal Highways Administration License and FEMA CLOMR were secured by RiverRestoration. Final design plans and specifications were advertised for bid in fall of 2007 with construction of Phase One completed prior to Spring 2008 runoff. Phase Two construction of bank work and community access was completed in Spring of 2010. 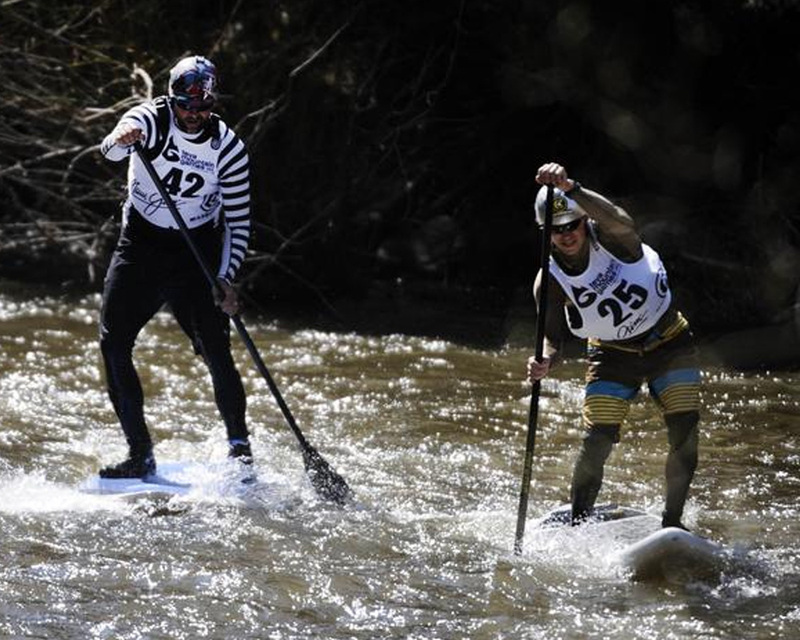 Colorado-trained surfers hone skills on G-wave in Glenwood Springs.